Al Mukalla: Hundreds of jubilant people spontaneously poured into the streets of the city of Taiz, southern Yemen, to celebrate breaking Al Houthis’ siege of the city even as troops were defusing a large number of landmines planted by the defeated militia, residents and government officials said on Sunday. Forces loyal to president Abd Rabbo Mansour Hadi scored a major victory on Friday by pushing rebel fighters out of strategic locations in Yemen’s third largest city and put an end to a year-long siege of Al Houthis on the city. 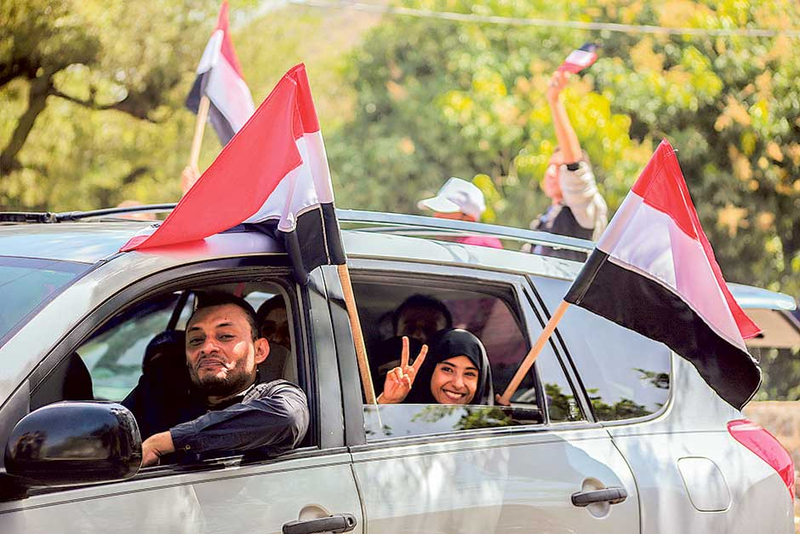 Ali Al Sarari, a local human right activist, told Gulf News that residents did not wait for the government forces to clear landmines from former battlegrounds, rather went to the streets to express joy over ending the siege. 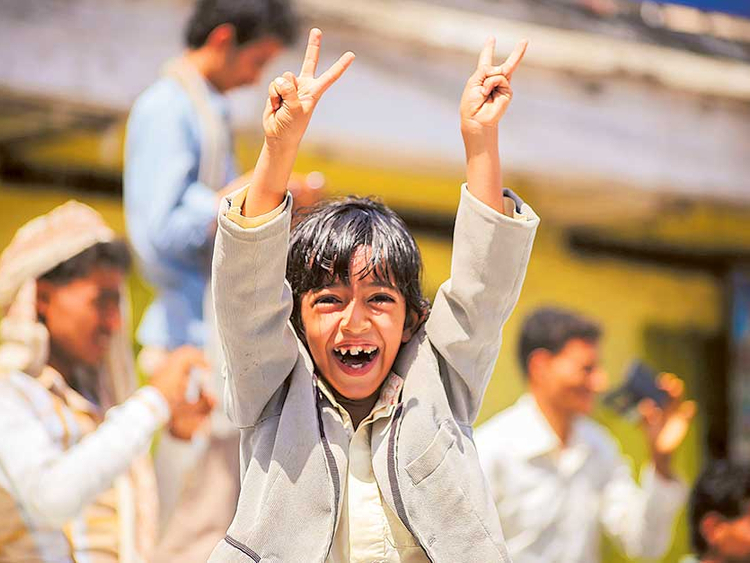 “When government forces and the resistance defeated Al Houthis on Friday afternoon, people did not wait until the next day to express their happiness. They immediately flocked the street to celebrate and to shop,” he said. Local activists and journalists posted videos on social media showing thrilled people raising Yemeni flags with some posed for photos behind their ruined houses. Al Sarari said that traffic police and security forces were deployed shortly after liberation as traffic jam occurred in some streets of the city for the first time since last year. The Iran-backed Al Houthis supported by army forces loyal to the ousted president Ali Abdullah Saleh have imposed a siege to the populous city since March last year to weaken resistance fighters. Indian PM meets mother but why the cameras?